Was born in Barcelona. From 1988-1991 Marc was a full-time student of the London Studio Centre, where he was awarded the prestigious Tom Merrifield Scholarship. On successful completion of the Acting and Musical Theatre course, he trained at the Mime Centre, where he won the Nathaniel Memorial Scholarship. He then completed a Shakespeare course at the Royal Academy of Dramatic Art, in London. Recently: Marc developed, designed and directed Breed and Rescue, a musical solo performance written and composed by Stephanie Weisman, which opened september 2017 at the theatre The Marsh (San Francisco). / He directed the world premiere stage version of Relato de un náufrago (The Story of a Shipwrecked Sailor) by Gabriel García Márquez which he co-adapted with Ignacio García May. It opened on November 3rd 2016 at Barcelona’s renowned Teatre Lliure starring Emilio Gutiérrez Caba and Àngel Llàcer and it became one of the theatre’s most successful productions of 2016. 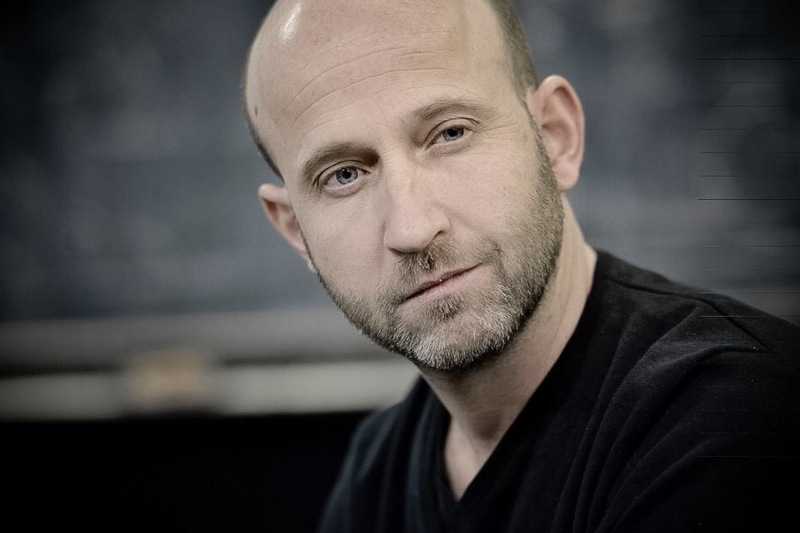 He also directed: La Ola (The Wave), a new production of his acclaimed L’ Onada (The Wave), at the Centro Dramático Nacional (Spain’s National Theatre in Madrid) for which he was nominated Finalist for the “Premios ADE 2015“ Awards for “Best Director” by Spain’s Stege Director’s Association. La Ola (The Wave) is a play he conceived, and which was co-created with Ignacio García May, who wrote the text. The production, which is based on a real-life experiment by Ron Jones, had its world premiere at Barcelona’s Teatre Lliure on March 14th 2013 and played to full houses in both the seasons it was programmed. It was selected by theatre critics as one of Spain’s top 10 Theatre Productions of 2013 and was nominated in 6 categories in Spain’s prestigious “Premios MAX“ Theatre Awards 2014, including Best Theatre Production and Best Director / The full-scale production of Monty Python’s Spamalot at the Teatro Aldama in Mexico City, which became one of Mexico’s hit shows of the 2011-12 season / Sergi Belbel’s play Després de la pluja (After The Rain) 2012 / The physical comedy theatre production Ticket, which he also co-created, for the internationally acclaimed Spanish company Clownic (Tricicle-2). Other directing credits include: Sombra y Cuna (starring Pedro Almodóvar film actress, Rossy de Palma) at the CDN - Centro Dramatico Nacional (Spain’s National Theatre in Mardrid) 2003 / A new production of Chicago, el Musical, at Barcelona’s Teatre Arnau, which won the “CRITICS’ AWARD FOR BEST MUSICAL“ in 1996-97 / Circómic Circus’s show Grottesco for the Monti & Cia. company, at Barcelona’s Universal Forum of Cultures 2004, with full houses for all the performances / Mozart’s Opera Bastien & Bastienne which won the “SAN MIGUEL AWARD FOR BEST SHOW“ at the prestigious Spanish Theatre Festival “Fira de Teatre de Tàrrega” in 2006, and toured widely until 2009 / Mon Genet (Barcelona’s International Festival GREC 2005 ), a Roberto G. Alonso Company dance-theatre production, based on Jean Genet’s novels / Miraveus by Abel García (an opera-clown show) 2005-07. His credits as Director & Co-creator include: Monti & Cia. company’s Fools Folls (Barcelona’s International Festival GREC 2000), a clown-theatre show, which following its run at Barcelona’s Teatre Borràs, and a national tour, was transferred to Madrid’s prestigious Teatro de la Abadía / The PaepaMontiNan Company’s show Èxode (Exodus) 2011, produced by the CAER, with the internationally renowned clowns Joan Montanyès “Monti” (Roncalli, Raluy, Price) and Pepa Plana (Cirque du Soleil) / The show Muntaner Cantonada Broadway (Sala Muntaner ) 1998. In 2014, he created the dramaturgy for Kanga Valls’ Kulbik Dance Company’s production Camins (Paths) which premiered at Barcelona’s prestigious Mercat de les Flors Theatre. As Resident Director: Grease, el Musical directed by Ricard Reguant (Nuevo Teatro Alcalá, Madrid) 2008-09 / Monty Python’s Spamalot directed by Tricicle (Teatre Victoria, Barcelona & Teatro Lope de Vega, Madrid) 2008-o9. As Assistant Director: at the TNC - Teatre Nacional de Catalunya (Catalonia’s National Theatre in Barcelona), Marc’s credits include: the play Terra Baixa (Martha of the Lowlands) directed by Ferran Madico, 2000 / and the play Maria Rosa by Àngel Guimerà, directed by Ángel Alonso, 2004 / Argentinean director Alfredo Aria’s musical production of Mals d’amor d’una gata francesa, 2000. 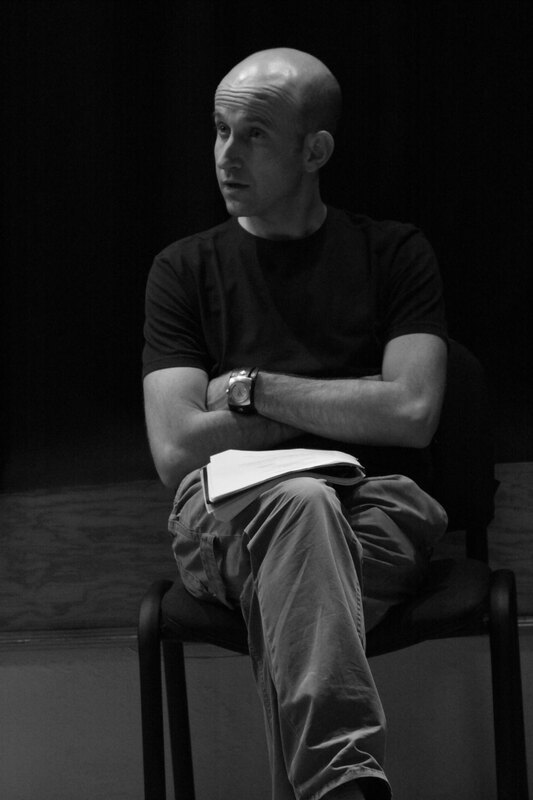 / He was also Assistant Director to: Abel Folk in Anthony Neilson’s “Mentiders” (The Lying Kind) at the Teatre Borràs in Barcelona, 2006-07 / Israeli director Yuval Zamir, in Lorca’s Blood Wedding (Bridge Lane Theatre in London) 1992. Artistic Supervisor of: The international Tricicle-2 company’s shows Garrick and 100% Tricicle for two years 2009-10 / The Belgian company Studio Orca’s production of Lava at Barcelona’s Teatre Lliure, 2012. Acting Coach credits include: Tricicle’s successful 13-episode TV comedy series Més Dinamita (TV3) 2009. He has also been in charge of the staging and choreography of several musical numbers (including the tap-dance routines) for many of the productions in which he has been involved as both an actor and director or assistant director. In 2010, he received a commission from the AADPC (Catalan Association of Professional Actors and Stage Directors) for Barcelona City Council to create and draft a content and management plan for the Fàbrica de Creació La Escocesa, a Catalan creation and training centre (“Factory”) for professional actors and stage directors. 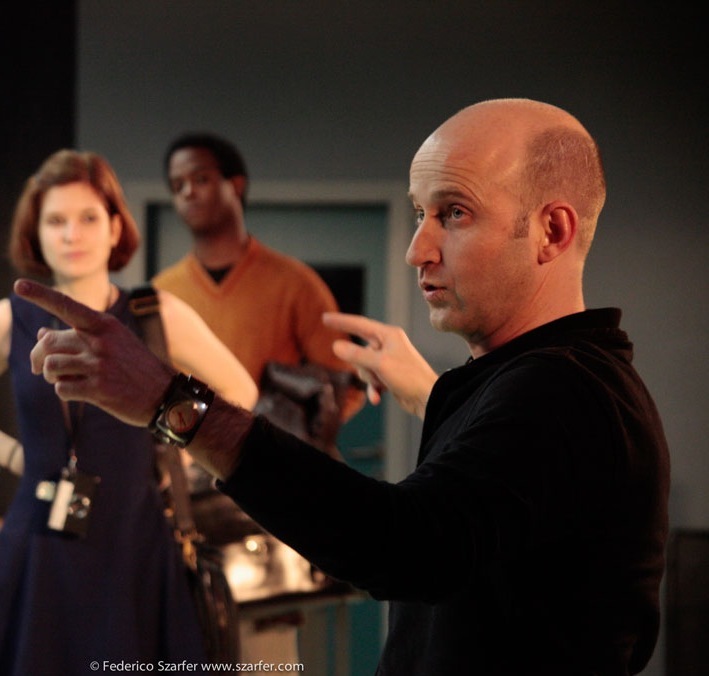 Since 1995 Marc has worked at many Performing Arts Colleges in both London and Barcelona (as a director and drama & musical theatre teacher) preparing students for a professional career in the theatre world. He has also given performance workshops at the CDN (Spain’s National Theatre ) & at the TNC (Catalonia’s National Theatre) since 2004.